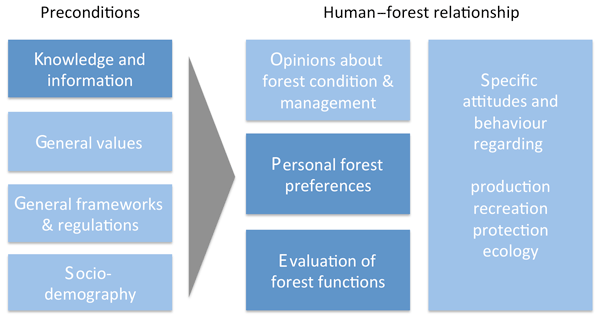 This paper is about residents’ perceptions, evaluations, and preferences regarding forests, 3022 residents completed the Swiss Socio-cultural Forest Monitoring (WaMos). Respondents were well informed about forest issues. Forest functions such as wood production, air quality, and biodiversity were rated as more important than recreation. Mixed forests and multi-sensory experiences were preferred; wilderness was only moderately approved of. This paper interrogates the endurance of a national forest management programme in Burkina Faso called Chantier d’Aménagement Forestier (CAF) despite evidence of its shortcomings. Analysing the political economics of control over fuelwood markets helps elucidate the endurance of the CAF model. This is important because it helps us understand how certain areas continue to be officially referred to as "forest" even when they do not have the ecological characteristic of one. REDD+ requires forests to be measured. However, many communities have their own concepts of forest with different meanings. Global forest inventories frequently ignore these conceptualizations. This paper describes an approach for generating alternative measures of forest simultaneously to support the international objectives of activities such as REDD+ and to reflect local concepts and semantics associated with forest . The concept forest transition refers to a pattern in which historical deforestation is replaced by forest regrowth. The concept normally points to economic, social, and political causes. This paper proposes a new analytical model that focuses attention on four interrelated processes: changes in tree cover; changes in forest quality; change in the ecological, socio-economic, and political processes that create particular forests; and changes in the way we think about and categorize forests. In this paper we explore semantic diversity observed in relation to forests. We do so on the basis of first-hand linguistic field data from a global sample of indigenous categorization systems as they are manifested in six diverse languages. 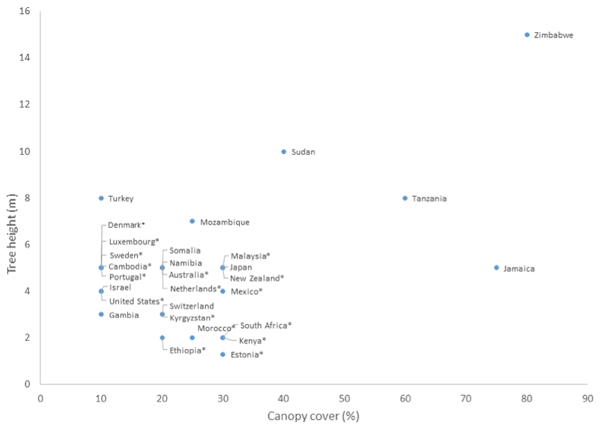 We show that basic linguistic categories relating to tree cover vary considerably in their principles of semantic encoding across languages, and that forest is a challenging category from the point of view of intercultural translatability.